Although there are some biological processes that are supported by UV radiation, most organisms are stressed by it in various ways, e.g. through DNA damage. 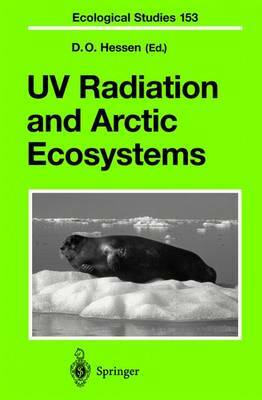 Top international experts present an integrated overview of UV radiation and its effects on terrestrial, freshwater and marine Arctic biota. Increased stratospheric ozone depletion and the corresponding increase in ground levels of UV radiation as well as ambient, "natural" UV radiation as a key ecological factor in the Arctic spring and summer are discussed in detail. Additionally, basic information on Arctic ecosystems is given. The volume provides not only an excellent account of present-day knowledge of the subject, but also describes the state of the art on which future research can be built.